Bottled Water: Innocent or No? There is nothing quite as wonderful as drinking a nice, cold bottle of pure water on a hot day. Or is there? Americans consumed about 50 million bottles of water last year. Almost a quarter of those bottles were manufactured by the brands Aquafina and Dasani which are owned by beverage giants Pepsi and Coke, respectively. Did you ever stop to think about what you’re really drinking and the impact of all those bottles? Maybe you should. Most Americans are growing more aware of what they are eating and drinking. Sodas, juices and other sugary drinks are falling out of favor and being replaced by water. Bottled water is currently a $15 billion industry that is expected to increase nearly 35% over the next 3 years. All of this growth is having an impact on American wallets as well as the environment. First, Let us look at the source of your favorite bottle. The two leading water brands, Aquafina and Dasani, are categorized as “purified drinking water”. This means your high end water came direct from a municipal water supply (tap water), filtered and bottled. Yep. You are drinking tap water with the chlorine filtered out. “Spring water” is very similar but sourced from an underground spring through the means of a well, filtered and bottled. Starting to sound like the stuff you have at home? It should. Now let’s consider the plastic bottles themselves. 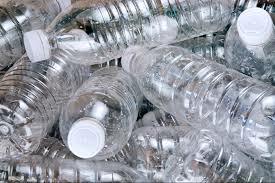 The plastic used to make water bottles, PET, is made from oil- more than 17 million barrels annually, actually. After one use, those bottles are dumped in landfills nationwide and can take up to 1000 years to break down. PET (polyethylene terephthalate) is a problem in our bodies as well. Antimony is found in PET and can leach into the water. Antimony has been known to cause dizziness, depression, nausea, vomiting and death. Fun stuff! Now that we’ve destroyed the environment and our bodies, let’s consider your wallet. Consumer Reports studied the cost of purchasing one 16.9oz bottle of water a day versus filling a reusable bottle with tap water once a day. Assuming you purchased the cheaper bottled water for about $1.00 each, you would spend over $346 a year. Filling your reusable bottle with tap water costs merely 48 cents for the year. Would you like your tap water filtered? Still cheaper. Using a water filtration system, you would spend about 19 cents a day for over 240 gallons of filtered water. This brings your annual cost to just under $70 for over 87,000 gallons of filtered water. Amazing. As you can see, that innocent bottle of water isn’t so innocent. Do your health, the planet and wallet a favor and ditch the bottle.